The picture to the right and the picture below are both pictures of what the bubble gum girls may look like. (Right)This is the original design. The big round object with little multicolored balls are made to represent a bubblegum machine that is leaking bubble gum all over the shirt and landing in a pile on the belt. This feature is what makes the design so complex. 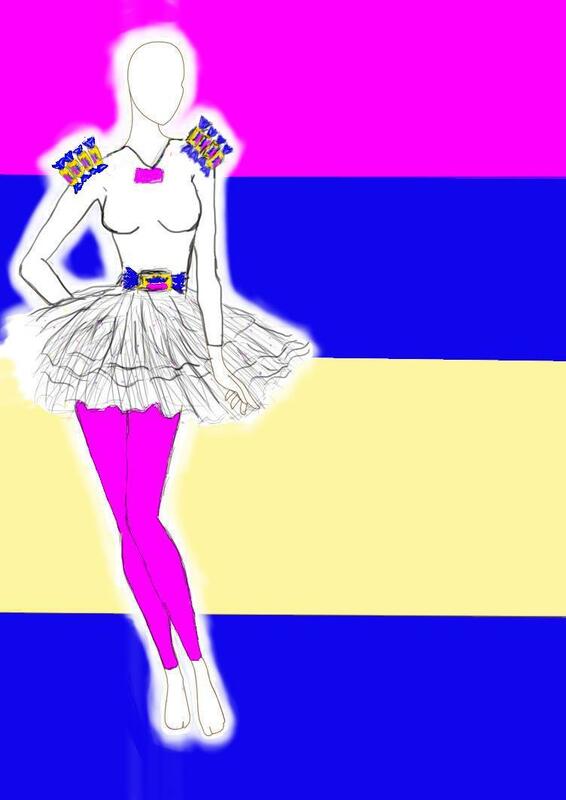 In addition to this, the outfit includes a white, long sleeved leotard, with a white tutu and pink leggings. When I saw the design (top) I told her to change it to this (left). It’s simpler and it screams BUBBLE GUM!! The only difference is the unwrapped bubble gum peace on the end of the V-neck, the bubble gum on the shoulders, and the big bubble gum peace on the belt. 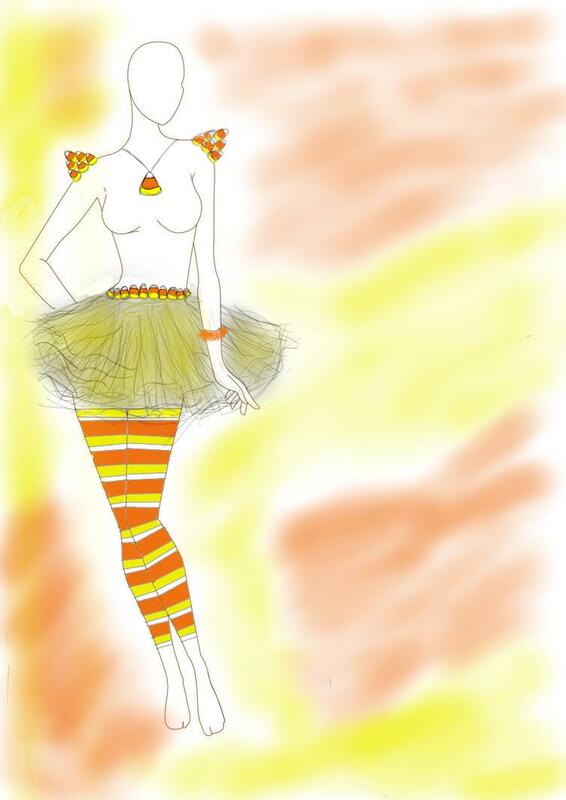 In this design the shoulders are stacked with candy corn. In the center of the chest is a large peace of candy corn and the belt it's self is lined with candy corn. 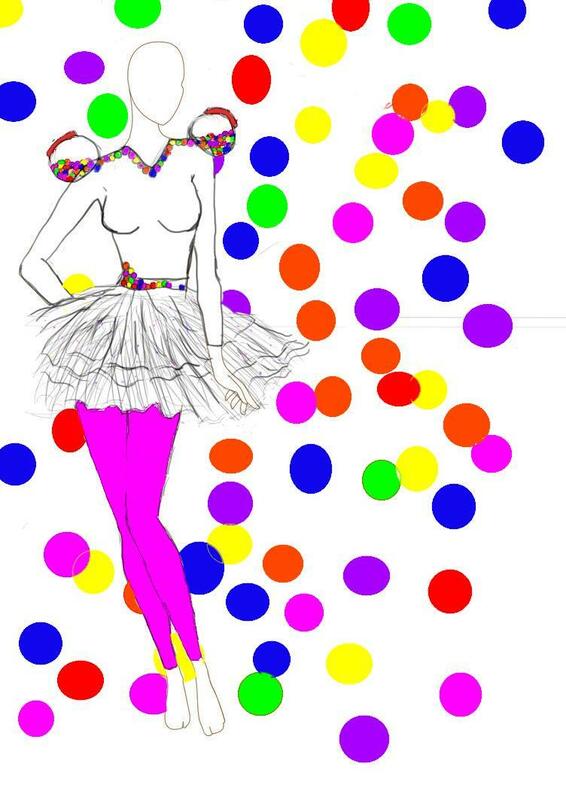 this design also includes a white, long sleeved, leotard but the difference is shown in both the yellow tutu and candy corn striped leggings. As BAD as i want the legs to look like this i have not been able to find any candy corn tights for ADULTS... So we may have to change this design slightly. 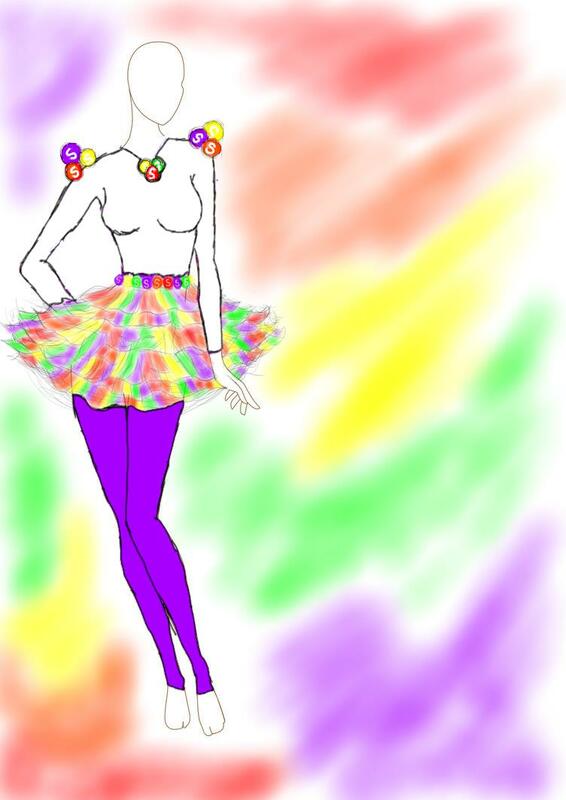 The design for the peppermint outfit is a combination of the candy corn design and the bubblegum designs. She incorporated the stacked peppermint on the shoulders, the lining of the peppermint along the belt, as well as the idea of striped leggings from the candy corn design into this design And the white tutu from the bubble gum design. She also added a large piece of peppermint to the middle of the chest from both the candy corn and the second bubblegum designs. The in this design the difference comes in at the colors. 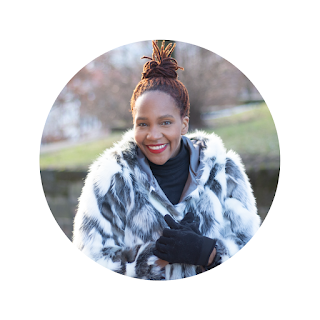 The outfit only consists of the colors red and white. 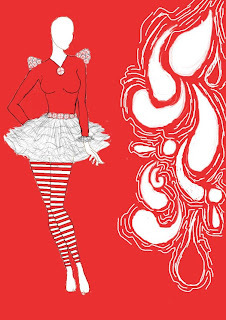 The leotard is completely red and the leggings consist of a red and white candy cane pattern. the last design shows the same idea for the shoulders as the ones above. the shoulders are stacking with skittles. the center of the chest consists of three skittles piled on top of one another. These peaces rest on top of a white leotard at the waist of the leotard is a belt lined with skittles that connects to the multicolored tutu. an the design also has purple leggings witch is what also sets this outfit apart from the other designs.